The theme for July’s Look and Learn kids art competition is “Music”, and the closing date is Thursday 7 August. 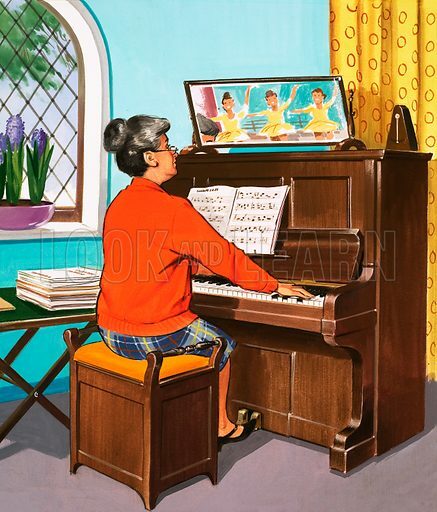 Here is a picture of a piano teacher from the Look and Learn archive, one of a series about People You See that appeared in the magazine Teddy Bear in the mid 1960s. Already, there are many more exciting pictures by children in the children’s art gallery.